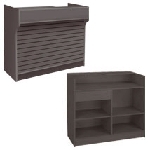 Spread out a little with this large size Service Counter Cash Wrap. 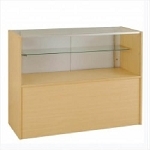 This wooden display counter works well alone or used as part of a group with matching counters in this product line. The fixture is made up of 3/4 in. 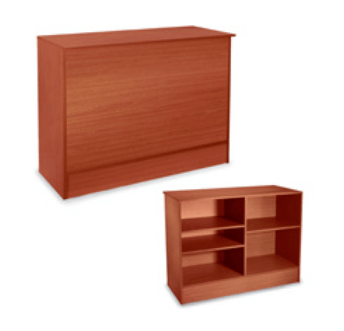 wood with a durable laminate finish and contains three adjustable shelves. Have a one-stop-shop showcasing area with your merchandise and a cash register for your cash flow needs. 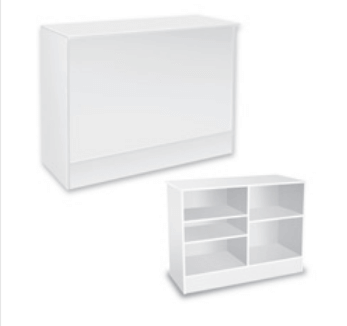 Get your displays noticed by all, especially when your customer's need to see you. Invest in your store's future and cash in by adding a little style and color to your counters retail area. 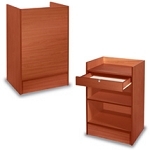 Sale with style and purchase your wooden showcase today! 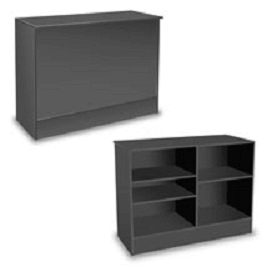 Heavy - Truck Shipping - Shipping surcharge applies - shipping costs are approximate and may vary, in which case, you will be contacted.